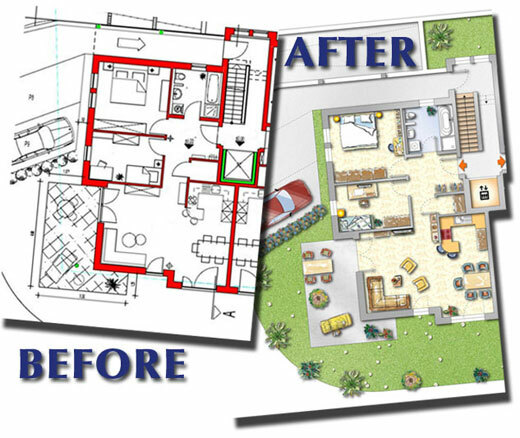 Floor plan design is the best possible sales tool you can use to sell your real estate. But not only for sales are these plans extremely usefull; imagine you want to rent out rooms or appartements and you need online floor plans to promote your business. Only our online floor plan design creates a realistic impression of the interiors which look close to a true picture. Your clients will appreciate your thorrow approach. Just send us your original plan and get it back for your professional online presentation in no time.